Why rely on two desktop monitors when you could have one really long monitor instead? 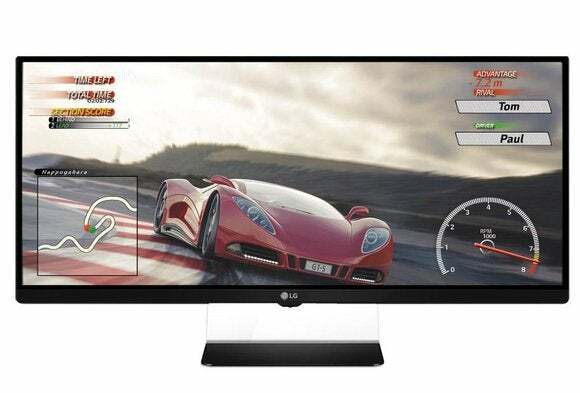 Fans of multi-monitor desktop setups might want to keep an eye on LG and Samsung, who’ve got a bunch of extreme widescreen panels in the pipeline—ones even longer than the stretched-out LG 34UM67 FreeSync monitor pictured above. Samsung, for instance, is working on 41-inch and 49-inch displays with 32:9 aspect ratios, according to TFTCentral (via Ars Technica). Essentially, that’d be like combining a pair of 16:9 desktop monitors into one desk-spanning display. Samsung hasn’t listed a specific resolution for the panels, instead using a vague “FHD+” label that likely means something above 1080p, but lower than 2160p. LG Display also has an interesting 37.5-inch panel on the way with a resolution of 3840-by-1600, making for a 2.4:1 aspect ratio. This isn’t much different from the 21:9 aspect ratio found on some desktop monitors and cinema-format TVs currently, but it’s a slightly better fit for the 2.4:1 aspect ratio of Blu-ray content. TFTCentral speculates that the panel may be tied to ongoing developments in 4K Blu-ray. It could also hit a pixel/performance sweet spot for gaming, though the indicated response time of 14ms isn’t exactly ideal. Keep in mind that none of these panels are finished products. They’re all currently in development by LG’s and Samsung’s display divisions, which then supply the displays to various electronics vendors (including the consumer product divisions of LG and Samsung). In any case, TFTCentral expects these panels to enter production in the third quarter, which means we might see ultra-wide monitors or other products materialize shortly thereafter. Why this matters: Having a pair of PC monitors on your desk is great for work, but worthless for gaming due to the bezels that sit right in the middle of the action. While some 21:9 aspect ratio monitors have hit the market already, none are as wide as they displays that LG and Samsung are working on now. The idea of a single screen that truly replaces a pair of desktop monitors could be pretty alluring if the price is right.